RS Sailing are excited to introduce an open sailmaker format for the RS21 class racing. The concept of the RS21 began with the key focus to keep the boat affordable and open to a broad range of customers using the one-design ethos. Sails can be an expensive part of any boat ownership and in the interest of keeping costs down, RS Sailing have ordinarily provided all sails for our boats. Historically, the open sailmaker format often leads to large increases in the cost of purchasing sails which this concept hopes to address. 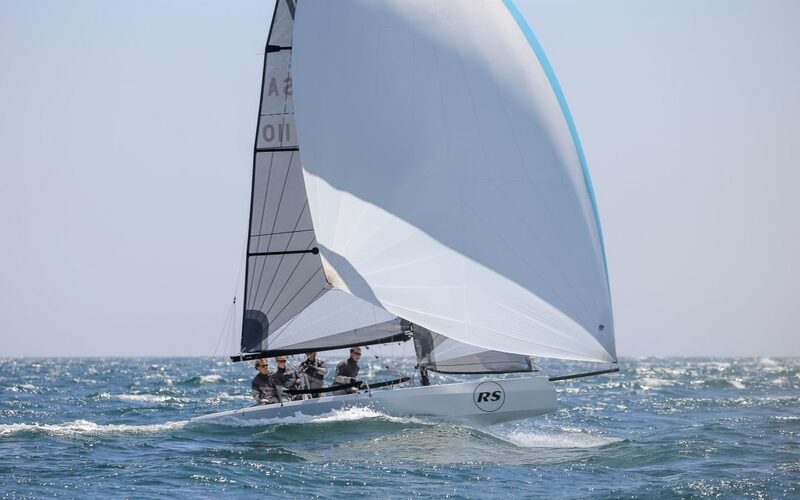 Alex Newton-Southon, RS Sailing CEO – Design & Technologies explains, “At RS Sailing we understand that sailmakers are extremely influential and an important part of the community. From the independents to the big brands, we want to engage and welcome their involvement with the RS21 class. The ‘Open Sail Maker’ concept will not change the goal of the class, which is to keep ownership of the RS21 affordable but more importantly to preserve the one-design ethos RS Sailing has always built into RS boats and sails. To achieve this, RS Sailing has decided on the RSD format with open manufacture, allowing a limited number of minor changes within strict class rules and using a specific set material. RS Sailing have worked with Dimension-Polyant, the world-leading manufacturer in sail laminates to develop a unique sail material for strength and reliability. The unique material is open to any licenced RS21 sailmaker to purchase either directly through Dimension-Polyant or through RS sailing at a fixed cost. RS Sailing will grant a licence to any sailmakers who are interested in being a part of the RS21 movement. There will be a set maximum retail price (ex-tax) to the end user defined in the RS21 class rules. This will be policed by the consumer. Licenced RS21 sailmakers will obtain access to the proprietary RS21 class laminate material at a fixed price. RS Sailing will provide the sailmaker with detailed class rules and build specification for all sails. The customer will pay a royalty sail button fee to the RS21 class through the sailmaker. The royalties will be passed on to the RS21 class for class activity. To allow the class to evolve, a class review will be conducted every three years to allow design changes to be discussed. For further details on becoming a licenced RS21 sail manufacturer please contact Alex Newton-Southon, CEO RS Sailing – Design and Technologies.